Interior Office Design + Space Planning calls for professionally-trained experts and that’s just what you’ll find when you turn to Storr as your interiors partner. From home offices and small businesses to large corporations and multi-level work environments, Storr Office Environments creates inspiring workspaces tailored to meet every space, every style, and every budget. 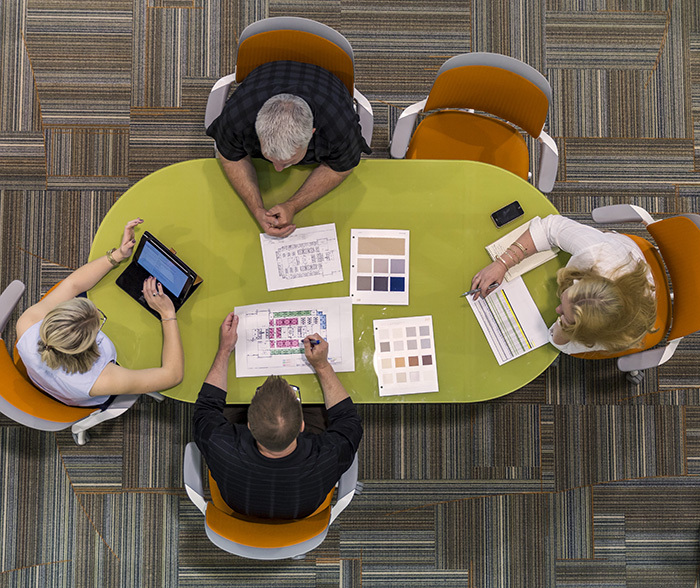 As an authorized Steelcase dealer we have the resources available to help you cultivate a collaborative working environment. Storr has 22 professional designers with over 167+ years combined experience to help you realize the optimal solution and vision for your work environment. Our entire design staff has in-depth knowledge of products and materials at their disposal. More importantly, they are solution-oriented experts on current and emerging workplace trends, both in product design and work styles. Our design team is highly skilled in the latest AutoCAD automation, CAP, and smart tools to create innovative spaces and effective solutions for your unique needs. Before any purchase is made, you will see exactly how your space will look and feel. You’ll find our interior design expertise one of the cornerstones of our organization and a key component of project success. 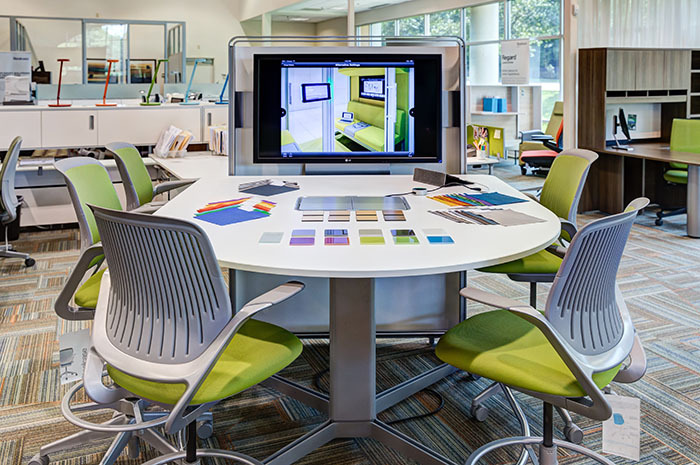 Storr Office Environments is continually pushing the technology envelope and working on ways to improve the design process. The optional 360 Degree Virtual View Design Package provides you the opportunity to build an exciting connection between you and your new space! This gives you, the end-user, the opportunity to co-create with us, envision the scale and get a feel for your new collaborative environment. This process helps resolve both functional and aesthetic challenges of an unbuilt space. Virtual View Design helps deliver a swift transition to a modern environment. There are three packages available for you to choose. For more information, download our 360 Degree Virtual View Design Packages brochure. Serving businesses in Raleigh, Cary, Apex, Durham, Chapel Hill, Greensboro, High Point and Winston Salem.